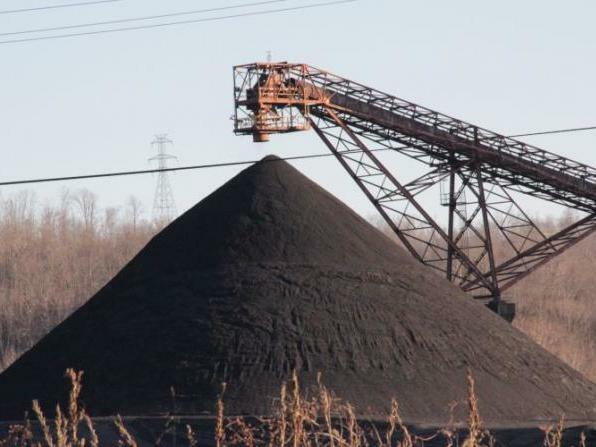 President Trump Orders Help For Coal And Nuclear Plants President Trump has ordered Energy Secretary Rick Perry to take immediate steps to help financially troubled coal and nuclear power plants. A draft plan marked "confidential" is being circulated around Washington. No one from the Trump administration has confirmed to NPR that the draft is an official document. Still, the White House issued a statement in response to news reports about the plan, saying the U.S. electric grid is at risk because of coal and nuclear plant shutdowns — called "retirements" in the industry. "Unfortunately, impending retirements of fuel-secure power facilities are leading to a rapid depletion of a critical part of our nation's energy mix, and impacting the resilience of our power grid. President Trump has directed Secretary of Energy Rick Perry to prepare immediate steps to stop the loss of these resources, and looks forward to his recommendations," White House press secretary Sarah Sanders says in the statement. Coal and nuclear plants are in trouble because across much of the country they're having trouble competing with cheaper forms of electricity generated by natural gas and renewable energy. Some coal and power companies have lobbied the administration to invoke the measure, known as a 202(c), and Trump has picked up on the term, telling coal miners on a recent trip to West Virginia that "we'll be looking at that 202." Energy analysts say the measure is meant for short-term emergencies and it would be a bad fit to use it this way. The country's largest grid operator, PJM Interconnection, says in a statement, "There is no need for any such drastic action." The operator for much of the Mid-Atlantic, it says it has "secured reliable supplies through 2021/2022" and that this kind of federal intervention "would be damaging to the markets and therefore costly to consumers." The National Mining Association says in a statement that it has not received details of the plan from the Department of Energy. NMA spokeswoman Ashley Burke says, "We need a plan to preserve the reliable, affordable energy that continues to slip away each day, and it is encouraging that this administration is taking the issue seriously." Environmental groups criticized the draft plan and called it illegal. "The Trump administration is continuing to try to fulfill the president's campaign promise to his coal supporters to bail them out," says John Moore, attorney with the Natural Resources Defense Council. While the draft plan lays out arguments based on security and reliability, Moore argues a greater threat would be to extend the country's reliance on fossil fuels that contribute to climate change.